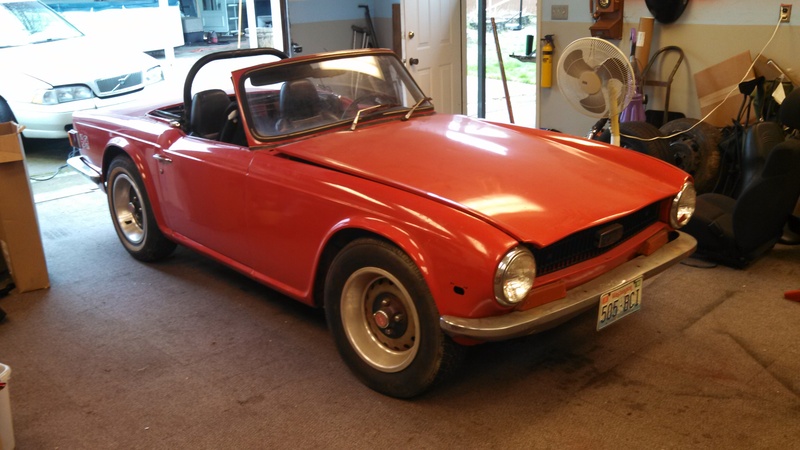 I just realized, I posted a story about the lousy Lucas wiring in the Triumph, but I never posted any pictures. So, here is the back story. I have a good friend who’s brother owes him money, but doesn’t have it. 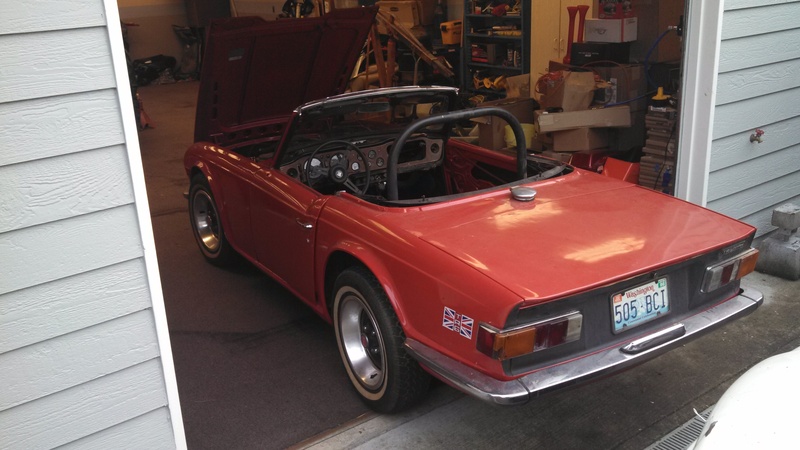 That same brother has/had a 1969 Triumph TR6 that has been sitting in his heated garage, unmoved, since 1998. The car was taken apart, painted, and then only half reassembled. So, brother gives my friend the car in lieu of some money, my friend then sells me the car for cash. Well, payments at lease. 🙂 So, the girls and I will have a nice little project car to play with. Can you picture my two red headed girls cruising the California coast in a bright red British convertible? As you can see, the side marker lights are missing, mirrors, etc. This last trip up to Seattle we were able to do a bit more tweaking on the engine and actually drove it around the driveway a bit. Making progress. 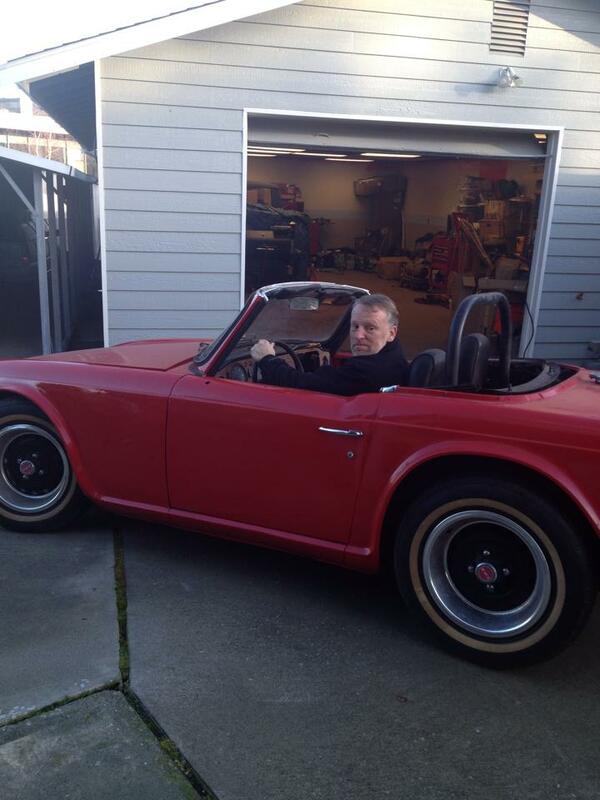 Driving the Triumph in the driveway. Moving under it’s own power.